HAVE 4 TIMES THE FUN WITH "4 GIRLS 4"
If one is good and two are better and three are best, then four must be spectacular. In this case, the four are four gals, a quintet of talent that will trumpet in the holiday spirit in a great big way. "4 Girls 4: A Christmas Together" is guaranteed to have your red, green and gold lights twinkling and set your holiday season ablaze with brightness. The Bushnell Center for the Performing Arts in Hartford will be sparkling in splendor for one night only: Monday, December 1 at 8 p.m. at the Belding Theater, as a fundraiser for Hartford TheaterWorks. As girls go, these ladies are stars spectacular from movies, television, records and Broadway. You're invited to be up close and personal, fun and flirty, with Andrea McArdle of "Annie" fame who grew up to star in "Beauty and the Beast" and "Starlight Express." Maureen McGovern has a collection of Grammy Awards to her credit, a #1 Gold record for "The Morning After" and a Drama-Desk nomination for "Little Women," You'll recognize Donna McKechnie for her performances lighting up the stage in "Company" and "State Fair" as well as her TONY winning role in "A Chorus Line." Last but certainly not least is Faith Prince who was a dynamo as Miss Hannigan in "Annie" on Broadway, a TONY winner for "Guys and Dolls" as well as TV's "Drop Dead Diva" and "Bells Are Ringing." These gals have the musical goods and they will deliver them right to your front row seat. You'll hit the holiday jackpot as they belt out the tunes they made famous from the shows that made them stars. These leading ladies will start your holiday season off with a bang and a rat-a-tat-tat and a hoopla of happiness. Tunes you might hear from their magical jukebox of hits could include "Strike Up the Band," "Broadway Baby," "The Morning After," "Miss Adelaide's Lament," "It's Marvelous," "Together" and "A Tisket A Tasket." Individually or all together, these women will sing and schmooze, share a laugh and a memory and royally entertain. Musical director John McDaniel will lead this festive parade of hits. For tickets ($55-100), call 860-527-7838. The performance will take place at the Bushnell, 166 Capitol Avenue, Hartford. The $100 tickets will include a post-performance party with the stars, a Meet and Greet! $50 of each ticket will benefit the Hartford TheaterWorks Annual Fund. Ring those bells for these four leading ladies of Broadway as they usher in and celebrate the holidays in regal style. "The 25th Annual Putnam County Spelling Bee." The Connecticut Repertory Theatre on the campus of the University of Connecticut at Storrs, at the Jorgensen Theatre, will be encouraging you to come and practice your spelling bee list for the competitions to be held until Sunday, December 7. The late great playwright Wendy Wasserstein is credited with putting composer William Finn together with his former student Rachel Sheinkin and her co-creator Rebecca Feldman to turn this original non-musical C-R-E-P-U-S-C-U-L-E (one of the spelling words) into this Tony Award winning musical. If you've never experienced it, what a treat. If you're already a fan, go again and take some friends or family with you. At UCONN, they have already lined up some celebrity guests to come on stage and show off their literary stuff. If you're daring and live on the edge, you might even volunteer to be one of the extra hand-selected to join the bee-on stage-with an official entry number and everything. You, too, can earn a juice box and a hug from the official comfort counselor Mitch (Melvin Abston) who is there serving out his community service while on parole. 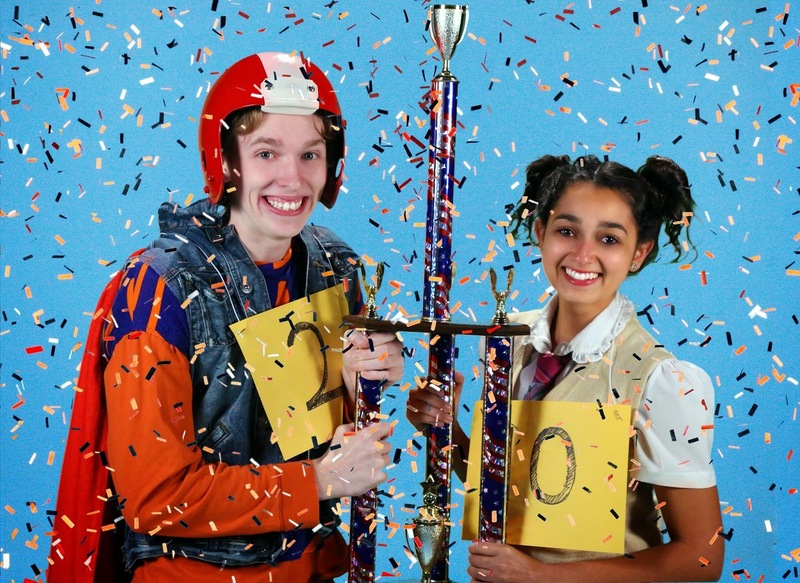 The Scripps National Spelling Bee is held in Washington, D. C. over Memorial Day weekend and has been held every year since 1925, except during World War II, but "The 25th Annual Putnam County Spelling Bee" deserves kudos and accolades as well. Where else would you find a Boy Scout named Chip (Kent Coleman) who wears a chestful of badges, a pig tailed angel (Gina Salvatore) who sports not one dad but two which influences her leadership of the Gay and Lesbian Alliance, an original Flower Child named Leaf Coneybear (Gavin McNicholl) who makes his own cheerful and colorful clothing, William Barfee (rhymes with parfait) who has a rare mucous membrane disorder and (thanks to Ryan Shea) a sparkly magical and moving foot that spells out the words, an over-achieving parochial student, Marcy Park (Julia Estrada) who can't help how incredibly smart she is and, lastly, a young girl who talks into her hand to spell, Olive (Whitney Andrews) who bravely stands alone, with her mom off in an Indian ashram and her dad busy at work. Each contestant wants to win so they can proudly say they succeeded at something special. They are each a bit of a misfit but they stand tall and are willing to risk everything to write their own ticket to destiny and pride. Along the way, as they compete and rise to the challenge, they learn enough about themselves to earn the title of champion, whether they win the trophy or not. Overseeing the proceedings are Vice Principal Panch (Mark Harapiak) who has a dubious past and eager-to-please Rona Lisa Perretti (Blythe Wilson) who has the double distinction of being a class A realtor and of winning the 3rd Annual Bee. Under the direction of Paul Mullins, and choreography of Sara Andreas, with a cast of top notch performers and words to spell like "weltanschauung" and "cow," you are guaranteed a lively, animated and entertaining evening. For tickets ($7-36), call The CT Rep at 860-486-2113 or online at www.crt.uconn.edu. Performances are a student matinee at 10 a.m. on Tuesday, December 2, Wednesday at 7:30 p.m., Thursday at 7:30 p.m., Friday at 8 p.m., Saturday at 2 p.m. and 8 p.m. and closing Sunday, December 7 at 2 p.m. There are no performances the week of Thanksgiving. You'll enjoy everything from the initial musical recitation of "The Rules" to the interim "Pandemonium" all the way to the crowning of "The Champion." Going through life with a shiny red nose can only be desirable if you're a clown in the circus or a famous reindeer leading an even more famous sled. 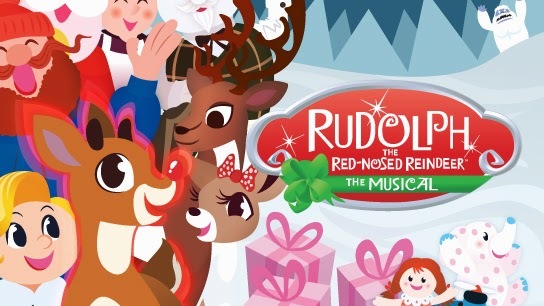 Hold on to your sleigh bells and give them a big jingle as "Rudolph the Red-Nosed Reindeer: The Musical" flies straight in for a fabulous landing at The Bushnell Center for the Performing Arts from Tuesday, November 25 to Sunday, November 30 for a festive holiday welcome. Get ready for this wonderful television classic to burst into life right before your eyes. Dressing yourself in red, green and gold is optional. This fifty year old classic tale is bound to excite the Christmas spirit in everyone in the family, even if your name is Ebenezer Scrooge. It's time to greet the jolly Mr. Claus and his wife, Hermey the Elf, Bumble the Abominable Snow Monster, Clarice, Yukon Cornelius, the Misfit Toys and don't forget the shining star of the show, that red-nosed reindeer. Conceived by Jeff Frank and First Stage, with script adaptation by Robert Penola and arrangements and orchestrations by Timothy Splain, this merry musical comes with a message. Learn first hand with Rudolph that what makes you different just might be what makes you special and that there is a little misfit in all of us. In honor of this production, a portion of the proceeds will be donated to Ben's Lighthouse, a Newtown-based group that supports communities impacted by tragedy. It honors those teachers and children who died at Sandy Hook Elementary School and its motto is "Helping Is Healing." A children's chorus from Ben's Lighthouse, named for Benjamin Wheeler, will perform in the lobby and at intermission at November 28 and 29 morning and afternoon shows. For tickets ($21 and up), call the Bushnell, 166 Capitol Avenue, Hartford at 860-987-5900 or online at www.bushnell.org. Performances are Tuesday at 7 p.m., Wednesday at 7 p.m., Friday at 2 p.m. and 7 p.m., Saturday at 11 a.m., 2 p.m. and 7 p.m. and Sunday at 11 a.m., 2 p.m. and 5 p.m. There are no shows on Thanksgiving. Come help Rudolph realize how important he is and help him guide that fabulous sleigh for a jolly holly holiday for all the little ones in your life. FIND YOUR HEART IN "ONCE WE LIVED HERE"
Being tied to the land can be a blessing or a burden. It speaks to heritage and tradition and family. For Amy McPherson, her family's sheep shearing ranch in California is her entire world. While her siblings Lacy wants a big time career and Shaun, who has clearly lost his way, Amy will move heaven and earth to be sure the ranch Emoh Ruo (Our Home spelled backward) survives and thrives. Amy is willing to battle a long drought, the danger of wild fires and the financial uncertainties of her quest. No task is too hard or too difficult to face and overcome. 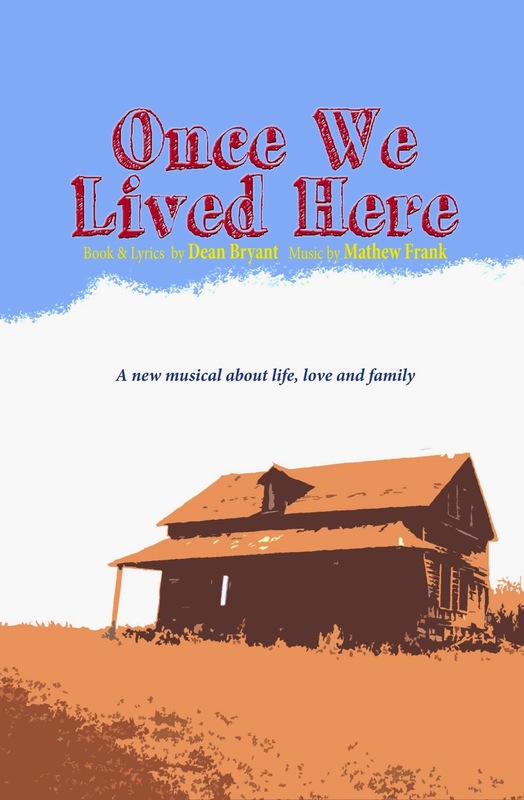 "Once We Lived Here" with book and lyrics by Dean Bryant and music by Matthew Frank will be offered at Spirit of Broadway Theater in Norwich until Sunday, November 30. The musical is Artistic Director Brett Bernardini's signature swan song, his farewell tribute to the theater that has been his home and focus for the last seventeen years. To Bernardini, "Once We Lived Here" is a great musical with an amazing cast, about family and the memories it creates, the home that holds it together. The ultimate message is "family matters." Originally set in Australia, the composer's home, the musical has been relocated to California where the realities of lack of rainfall and dangerous brush fires and economic downturns are all too real. The McPhersons have gathered their wagons together to survive another family tragedy. Eight years ago their father was tragically killed. Now their mom Claire (Jennifer Killinger Blackwell) is seriously ill. Despite all of Amy's (Samantha Souza) diligence and hard work, the future of the family farm is in question. Will Shaun (Dakota Dutcher) or Lacy (Bessie Fong) step up to help? Can Burke (Matt Smolko ), a hired hand who helped in the past, ride back in as a white knight to save the day? Here is a disfunctional unit who harbors secrets and lives on lies. Their memories creep in and explode in their faces. Will a fresh wind of change help them rediscover what family means and uncover the love they all need to survive? 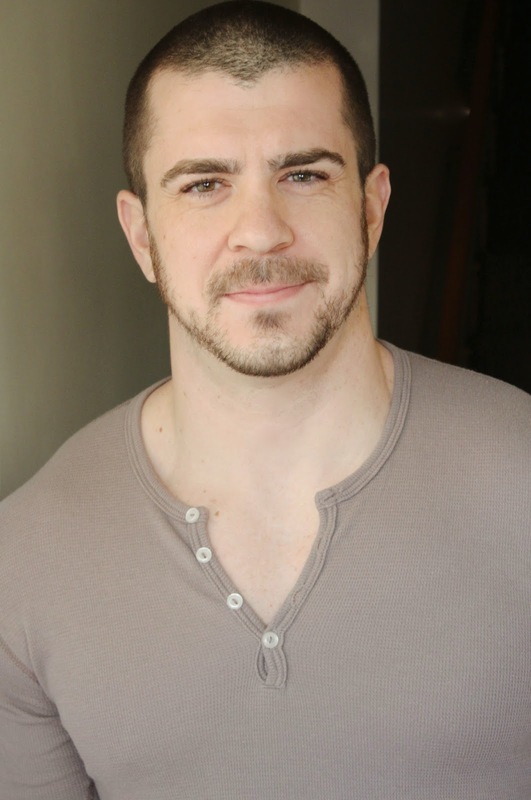 Brett Bernardini works wonderfully well to help the cast discover the anchors they need to thrive. For tickets ($32), call Spirit of Broadway Theater, 24 Chestnut Avenue, Norwich at 860-886-2378 or online at www.spiritofbroadway.org. Performances are Wednesday and Thursday at 7 p.m., Friday and Saturday at 8 p.m. and Sunday at 2 p.m.
A 2014 Spirit Gala will be held on Saturday, December 6 to honor and pay tribute to Founding Artistic Director Brett Bernardini with a reception at 6 p.m., dinner at 7 p.m. and special guest performances at 8 p.m. This black tie event is sure to be special. For tickets ($125), call the theater box office. You can vote on the future of the theater at www.surveymonkey/r/SpiritofBroadway. Discover that "All Roads Lead to Home" in this musical where unanswered questions, guilt and memories must be addressed. Tune up your guitar, start speaking with a twang, grab a cold Bud and find a comfy pair of cowboy boots as that great country western gal with a resonating voice that rocks the rafters is coming to town. None other than Miss Patsy Cline will be creating her honky tonk heaven at Seven Angels Theatre in Waterbury until Sunday, December 7 and you surely don't want to miss the fun. 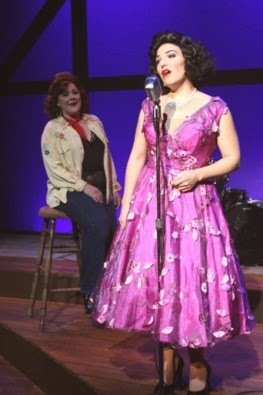 "Always, Patsy Cline" is the brain child of Ted Swindley, who created and originally directed it, based on a true story of one devoted fan for a star. When Louise, a divorced mother of two, heard Patsy on the Arthur Godfrey Show on television, it was love at first note. Her worship of her idol bordered ever so slightly on a stalker status, but her genuine reverence could not be ignored. When Patsy comes to Louise's Texas hometown to sing, Louise is the first in line to say "howdy." Their instantaneous mutual admiration brings them both a ten gallon cowboy hat full of pleasure. Rebecca Barta's Louise is a true red, white and blue admirer, the president of Patsy's fan club and her most loyal supporter. Her enthusiasm is contagious and captivating. Louise's admiration is not misplaced. Christine Mild has channeled Patsy and made her her own, with a deep whiskey laced voice that captures her unique sound. Tunes like "Walkin' After MIdnight," "I Fall to Pieces," "Your Cheating Heart," "Stupid Cupid," "Crazy" and "True Love" are either lively and spirited or romantically challenging. This vivacious lady can put a solid spin on any tune, like a jukebox bonanza. A fine five piece combo of piano, fiddle, electric guitar, bass and drums, with Luke Nelson, Guy "Fooch" Fischetti, Jamie Sherwood, Danny Kraszewski and Mary Ryan are a royal court of musical majesty. Semina DeLaurentis directs this bittersweet tale of a life cut too short, yet packed with a lasting and lingering melody. For tickets ($47), call Seven Angels Theatre, 1 Plank Road, Hamilton Park Pavilion, Waterbury at 203-757-4676 or online at www.sevenangelstheatre.org. Performances are Thursday at 2 p.m. and 8 p.m., Friday at 8 p.m., Saturday at 2 p.m. and 8 p.m. and Sunday at 2 p.m.
Now is the time to mark your calendars for a return to the stage of that king of irreverent comedy, Mr. Rob Bartlett, for Sunday, December 7 at 7 p.m.
Make a date with Michelle Gotay to celebrate "Christmas Eve at Earlene's Diner" December 11 to 21 to enjoy some old fashioned hometown fun. New Year's Eve will see New York City comedians ready and willing to usher in the holiday with humor, at 6:30 p.m. and 9:30 p.m. The late show includes appetizers and a midnight champagne toast. Call the box office for more information. Also plan your early Christmas shopping at the annual Silent Auction, with winning bids closing December 7. Let the incomparable Patsy Cline bring her special brand of country western styling right to your seat. Being drunk on Christmas Eve is not a necessary event but it often helps survive the holiday. Just ask the scruffy blokes who inhabit the space that could pass for a flat in the seamy side of Dublin where lumpy and bumpy seem to characterize their existence. Plop yourself down, if you dare, on that well used sofa, being careful to not fall on the legions of discarded liquor bottles and beer cans strewn about for color. Martha Stewart is not coming any time soon and don't look for anything too cheery to boast about for the Christmas holiday. The flat is peopled with a sad lot of humanity, mostly drunk and hardly ever sober. Enter the world craftily created by Conor McPherson in his play “The Seafarer,” being brought to entertaining life by the New Haven Theater Company from November 20-22, on Thursday, Friday and Saturday at 8 p.m.
One of Ireland’s best known contemporary playwrights, McPherson has skillfully drawn a motley crew of characters with his sharpened quill. It’s Christmas Eve and what better way to celebrate the savior’s birth then with a bottle or three of whiskey and a rousing game of poker. The stakes for the game are exceptionally high, even if most of the players are clueless. Jim Lones is wonderfully wrapped in the role of Richard, a curmudgeon recently blinded in a freak accident, who loves to make his brother “Sharky” (J. Kevin Smith) dance to his piper’s tune. Their poor friend Ivan (Steve Scarpa) seeks refuge at their place, to give himself time to sober up and only manages to make his home situation mountains worse. He is clearly afraid to face his wife Karen and his children. To stir up a little fun and mischief, Richard invites his brother’s nemesis Nicky (Peter Chenot) over to share a brew, the man “Sharky” blames for much of his disappointing life and Nicky, in turn, introduces a stranger into their pathetic Christmas pageant. Will the unknown Mr. Lockhart (George Kulp) be Scrooge or Santa or someone altogether different? Deena Nicol-Blifford directs this Irish tale, peppered as it is with salty language, with a firm and steady hand and a fine cast of talented blokes. For tickets ($20), contact The New Haven Theater Company online at www.newhaventheatercompany.com. The theater is located inside the English Building Markets, 839 Chapel Street, in downtown New Haven. This is the second anniversary at its new home. Pull up a chair, drink a drop of Irish in honor of the holiday and ante up for a spirited game of chance where you may lose or win much more than you bargained to wager. Do you remember the orange cardboard boxes carried by goblins and ghosts and cowgirls who were trick or treating on Halloween? All the money collected went to save the lives of children around the world, to provide vaccines, emergency disaster relief and educational opportunities like School-in-a-Box kits and much more. In the name of UNICEF, the United Nations Children's Fund, chidren's lives have been saved since the organization was created more than 65 years ago to provide aid after World War II. Way back in 1950, a group of school children in Philadelphia, Pennsylvania donated $17 at Halloween to this worthy cause. Since then Trick-or-Treat for UNICEF has filled coffers of over $157 million in the United States alone and is still going strong. You have the unique opportunity to learn more about this distinguished team effort when Caryl Stern, the President and CEO of the U. S. Fund for UNICEF delivers the Jacoby-Lunin Humanitarian Lecture, "I Believe in Zero: Learning from the World's Children." The lecture will be held at the Regina Quick Center on the campus of Fairfield University on Wednesday, November 14 at 8 p.m.
Stern, who has been an advocate for children and a civil rights activist for more than three decades, will speak about her mission to reduce the number of preventable deaths of kids under the age of 5 from 19,000 every day to zero. She will also address efforts to stop Ebola for children who are its most vulnerable victims. Statistics say that nearly 5000 people have died from this devastating disease since March, with 3700 children orphaned as a result. Stern has written a book that is also the title of her talk. For tickets ($45), call the Quick Center at 203-254-4010 or 1-877-ARTS-396, or go online to www.quickcenter.com. 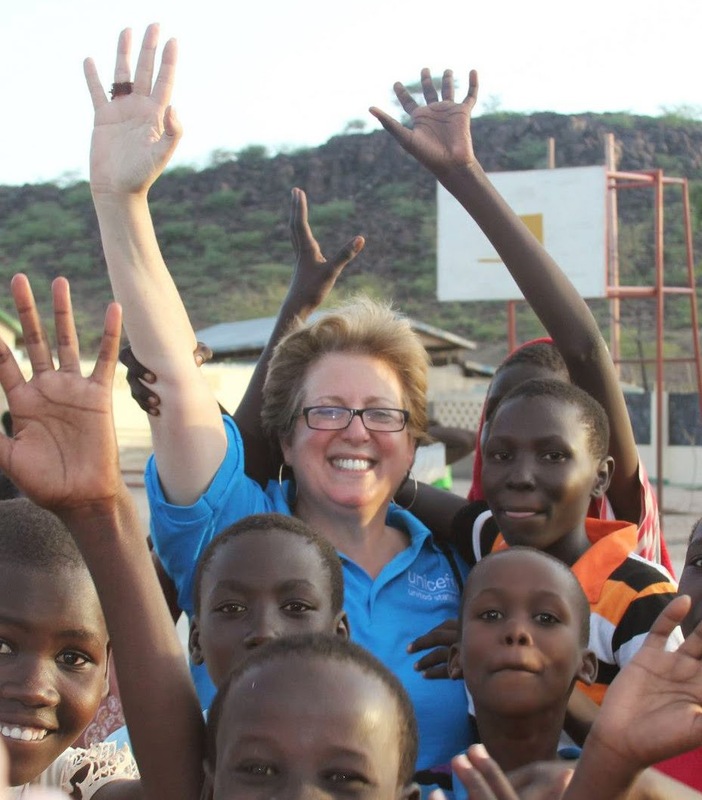 Let Caryl Stern take your hand to walk through crowds of needy children whose lives are improved and saved every day through the efforts of UNICEF. Come share in the smiles of success. If you're fascinated by things that go bump in the night as well as being a bit of a history buff, then journalist, author and raconteur Cindy Wolfe Boynton has just the proposition for you. She'd like you to accompany her one dark night soon on a Ghost Walk in Milford. Boynton has some real credentials for contacting the supernatural: she apprenticed years ago, at age 20, with two of Connecticut's premier ghost hunters, Lorraine and the late Ed Warren. She was supposed to research and write a book about a murder and a haunting but, frankly, it got too spooky for her to continue. Now it's just another good story to add to her repertoire on her walk. Boynton is using all that contact with witches and warlocks and goblins and ghosts to promote her hometown of Milford's intriguing spiritual history. I had the opportunity to join the walk on the most appropriate of evenings, Halloween, and many on the tour came dressed appropriately: one came as a black hatted witch, one all in a protective white cloak to ward off evil spirits and even one provocatively clad as a devil, complete with red ears and a pitchfork. The 1.15 mile stroll began at the end of the footbridge at Hotchkiss Bridge, on Helwig Street. Some hearty souls took the ghost meters Boynton provided that lit up and made a beeping racket whenever we walked past houses, mainly older ones, where psychic energy made its presence felt. We were encouraged to take pictures as images often appear to "make you pause and wonder." The historic district of High Street offers us the opportunity to seek out (or have them seek us out) a trio of different apparitions. Boynton explained the three types as human spirits who have not yet crossed over and have chosen to stay on earth for a specific reason. These ghosts can't let go and like to communicate, often by playing tricks. The most common are residual ghosts that can "come out" years later Their trapped energy lives on in paint on wood and in the air etched in walls. The last kind is the type you want to avoid, the inhuman demons and those you don't want to meet. Boynton cautioned that "your intention plays a role in what comes to you." She advises "go looking for good times and good stories...being open to vulnerability." As we set off, she recommended "invisioning yourself wrapped in a white light, a bubble of protection, so all the negative energy will bounce right off." We deliberately walked by older areas of homes, where tragedies were more likely to have taken place, because spirits could linger there. Boynton is a font of historical knowledge, sharing facts like Connecticut having the distinction of being the most haunted state, and Milford being high on the list as a town with the most spirits. Stories of apparitions and hauntings punctuated the whole stroll, from the tale of Peter Prudden in 1636, Simon Lake's submarine, Charles Island and Captain Kidd, Revolutionary War cannon, a pair of funeral homes sandwiched around a popular local eatery, Rainbow Gardens, mysterious candles in the Chamber of Commerce building and many more. When the ghost energy meter went crazy as we went by Brats and Bud Tavern, many were ready to check it out for a quick liquid quaff. By then, a light drizzle of cold rain added to the ambiance of spookiness. To investigate taking a ghost walk of Milford with Cindy Wolfe Boynton and experience all the tingles and chills that come along at no extra expense, go to spiritsofmilford.tumblr.com for more information. Tours are $15 for adults and $10 for children and run November 15, (a special evening with William Hall, the author of a book about the famous Lindley Street haunting in Bridgeport) 16, 22 and 23 at 7 p.m. and maybe more in December. Check the website or call 203-214-7554. Soon you can sign up for a special "Dinner with the Dead" with medium Catherine Crowley from Mystics by the Sea on Wednesday, January 21 from 6-9 p.m. that is sure to sell out quickly. Tickets are $53.74 for a 3-course dinner. Rainbow Gardens will experience a "crossing over." Let Cindy Wolfe Boynton use her family's personal history with ghosts (at the New Haven County Home for Children) and her own experiences with the Warrens, where as a reporter she "challenged the devil," to make a visit to mysterious Milford so memorable. Cindy promises you a "frighteningly good time!" HANG ON AS "THE WORLD GOES 'ROUND"
What do cellophane, coffee cups, cabarets, carousals, colored lights, coloring books, cakes by Sara Lee, the city of Chicago, cats and class have in common? They are all touched on and sung about, with refreshing wit or tender and tasteful timing, in the perfectly delightful tribute to the music of John Kander and Fred Ebb. Music Theatre of Connecticut, in its lovely new space at 509 Westport Avenue in Norwalk (just a few miles from its former black box space in Westport) has done itself proud in this sassy, sophisticated and thoroughly satisfying musical revue, "The World Goes 'Round." Weekends until Sunday November 23, MTC, under its smashing orange awning, will be offering up an evening of musical entertainment worthy of a New York City supper club. A quintet of fresh faced singers and dancers - Kathy Calahan, Melissa Carlile-Price, Eric Scott Kincaid, Trisha Rapier and Aaron Young - all members of Actor's Equity, will be strutting their considerable talents on MTC's intimate space. Still intimate, they now can seat double the audience. Imagine a parade of Kander and Ebb hits from such shows as "New York, New York." "70, Girls, 70," "The Happy Time," "The Rink," "The Act," "Woman of the Year," "Funny Girl," "Cabaret" and "Chicago," to name drop a few. You'll get the caffeine jitters from the lively patter of "Coffee in a Cardboard Cup," feel the obvious joy of one man's love for "Sara Lee" and one gal's affection for "Arthur in the Afternoon," while "All That Jazz" is super-duper electric and "Class" will have you checking your teeth for spinach bites. The poignancy and sadness of "Mr. Cellophane" is countered by the absolute joy of "Ring Them Bells, and the clever lyrics of "The Grass Is Always Greener" will have you laughing out loud. More than two dozen great Kander and Ebb tunes will have you applauding the length and breath of their musical talents. For tickets ($30-50, seniors and students $5 off), call MTC, 509 Westport Avenue, Norwalk, behind Nine West and Jones of New York, at 203-454-3883 or online at www.musictheatreofct.com. Come take your seat at the Melissa and Doug Theatre at MTC and see the spanking new digs for yourself and congratulate director Kevin Connors and stage manager Jim Schilling on a job well done. Now is also the time to reserve your seat for the world premiere of "A Christmas Carol: A Live Radio Play," another holiday hit by Joe Landry, on Saturday, December 13 at 8 p.m. and Sunday, December 14 at 2 p.m. Tickets are $30 and $40 and come with goodies too. Come and enjoy the snazzy new space where this talented quintet welcomes you as only five fine cabaret performers can. Bienvenue! TAKE AN EMOTIONAL DIP WITH "DANNY AND THE DEEP BLUE SEA"
Thirty years ago playwright John Patrick Shanley penned a two person play that is still devastatingly raw and emotional. On an elemental level, the pair are the epitome of unhappiness, the poster children for loneliness and alienation, each calling upon violence as a temporary solution to their intense problems. With the colorful and simple title of "Danny and the Deep Blue Sea," this intense drama might seem at first blush to be a play for children. Please disavow yourself of that mistaken assumption immediately. According to Playhouse on Park's director Sean Harris, this work, long a favorite of his, may be the first production of the play ever in Connecticut. As part of the theater's On the Edge series, it will play weekends until Sunday, November 16 at their West Hartford location on 244 Park Road. Sitting at solo tables in a seedy bar, Roberta, a bitter divorced mother with a teenage son, initially won't share her pretzels. Also sitting alone, Danny, a trucker who habitually uses his fists to resolve any confrontations, reluctantly offers her a refill of beer. These two loners, with enough problems to fill a giant statue of Paul Bunyan, tentatively reach out and expose the demons that plague them. Erin Lindsay Krom and Jonathan Gregg are convincingly flawed individuals, letting their emotional pain ooze out. Their acting is exquisitely vulnerable and real. They have no inhibitions: what they think and feel they say. Both are unbelievably unhappy. Roberta has a terrible secret she has never shared. She tells Danny. He thinks he may have killed a man the night before. She wants to help him. Can these two damaged souls find healing in each other's arms? Are they capable of changing their self-destructive ways? Will forgiveness and redemption be the answers they seek? To director Harris, "Danny and the Deep Blue Sea" is "a mix of brutality and beauty. They see love and life without a filter. They are honest and say what they feel. Ultimately it is hopeful." For tickets ($22.50, students and seniors $20), call Playhouse on Park, 244 Park Road, West Hartford at 860-523-5900, ex. 10 or online at www.playhouseonpark.org. Performances are Thursday at 7:30 p.m, Friday and Saturday at 8 p.m and Sunday at 7 p.m.
You cannot help but feel the pain of these two disenfranchised souls who share thin threads of tenderness despite the odds stacked against them. Comedian George Burns wanted to live to be age 100 and planned to perform in Las Vegas to mark the grand occasion. Unfortunately a fall in the shower earlier on jinxed his goal, but he did live to be a century old, plus 49 days, 11 hours before going to the great beyond. 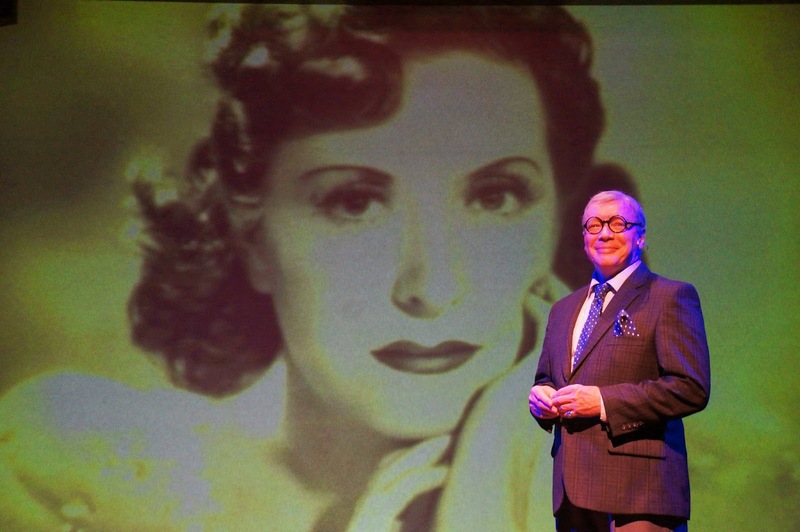 Rupert Holmes has crafted a delightful and poignant tribute to Burns and his wife and acting partner Gracie Allen in "Say Goodnight, Gracie" being offered for your enjoyment at the Ivoryton Playhouse until Sunday, November 16. R. Bruce Connelly is wonderfully personable and charming as Burns, complete with thick rimmed glasses and trademark cigar, as he reveals and reviews his life. Born one of twelve siblings, the son of immigrants, living in a tenement in the Lower East Side of New York, he started out as Nathan Birnbaum. The sudden death of his father, a Torah scholar, when he was only seven, set him off as the family breadwinner, selling newspapers, shining shoes and hauling ice. It wasn't long before the call of show business placed him on a permanent road, with "temporary" teamings with acts dancing, singing and even tending seals, as he tried to find the magic key to success. That key finally came when a petite Irish beauty signed on to be his new partner, Grace Ethel Cecile Rosalie Allen. Their collaboration led to marriage, a family and popularity in vaudeville, radio, film, television and books. George and Gracie became household names for decades, until Gracie's health forced her retirement. No longer would he ask, "So, Gracie, how's your brother?" This gentle waltz of a play reveals many happy moments, with film clips, and a liberal stuffing of comical stories from the past. Jack Benny pops in for his share of the humor as this love story is so sweetly told. Michael McDermott directs this nostalgic visit with one of America's most beloved stars of comedy. For tickets ($42, seniors $37, students $20 children $15), call the Ivoryton Playhouse, 103 Main Street, Ivoryton at 860-767-7318 or online at www.ivoryton.com. Performances are Wednesday at 2 p.m. and 7:30 p.m., Thursday at 7:30 p.m., Friday at 8 p.m., Saturday at 8 p.m. and Sunday at 2 p.m.
Come meet the actor who played none other than God, not once, not twice, but three times and gave the world a host of heavenly performances, with his own personal angel, Gracie, on a cloud nearby. Hop aboard a magic broomstick, grab a black witch's hat and fly over to the Bushnell Center for the Performing Arts in Hartford for a glitteringly devilish good time with "Wicked." Until Sunday, November 23, this musical, having garnered 35 major awards, a Grammy and three Tonys, based on the book by Gregory Macquire,with music and lyrics by Stephen Schwartz and book by Winnie Holzman, takes us back before Dorothy and her furry friend Toto whirled their way from a Kansas farmhouse to the enchanted Yellow Brick Road and, ultimately, to a visit with the grand poobah himself, the Wonderful Wizard of Oz. Dial back the clock and click your heels three times to discover when two young girls meet at boarding school and become roommates, initially hating each other but eventually becoming BFFs, best friends forever. 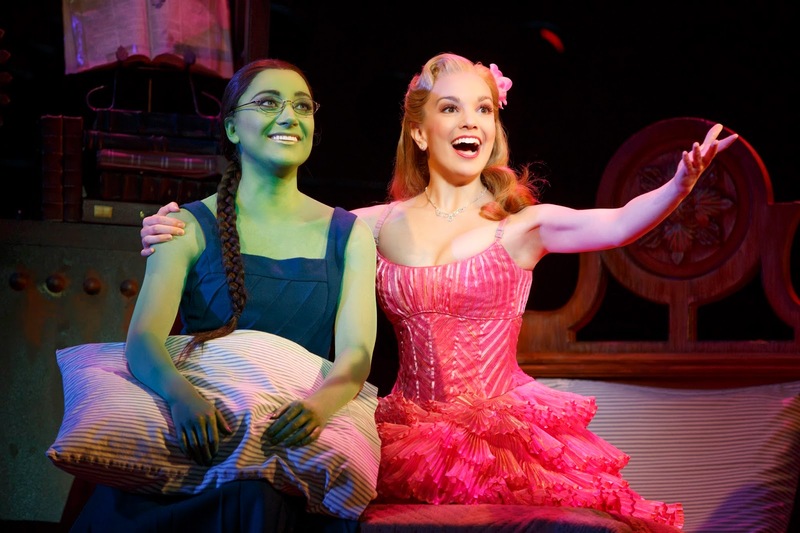 The unlikely pair are Glinda, a perky and bubbly Kara Lindsay, who has a super abundance of self-esteem and a major case of ME-ism and Elphaba, a feisty and independent Laurel Harris, who has the distinct disadvantage of having been born green. As Kermit the Frog and Shrek can attest, it's not easy being green and being at Shiz University, where the students should be enlightened, is no different. Even though Glinda gives Elphaba a "make-over," to improve her looks and personality, the loyalties of the precious Glinda and the defensive Elphaba are soon tested. The head mistress at Shiz, Madame Morrible (Kathy Fitzgerald) allows all the animals who speak to lose their powers of speech and Elphaba's dedicated teacher, Doctor Dillamond, (Michael Devries) a goat, is forced to leave the classroom. That discriminating event sets off a quest where Elphaba, with a little help from her friends Glinda and a new student Fiyero (Matt Shingledecker), journey to Oz to meet the Wonderful Wizard (Gene Weygandt) to have him make things right. To add a little more complication to the tense situation, Elphaba's little sister Nessarose (Emily Behny and Jenny Fellner) blames her for her being confined to a wheelchair and exercises her powers for evil instead of for good. Remember that all three are witches! 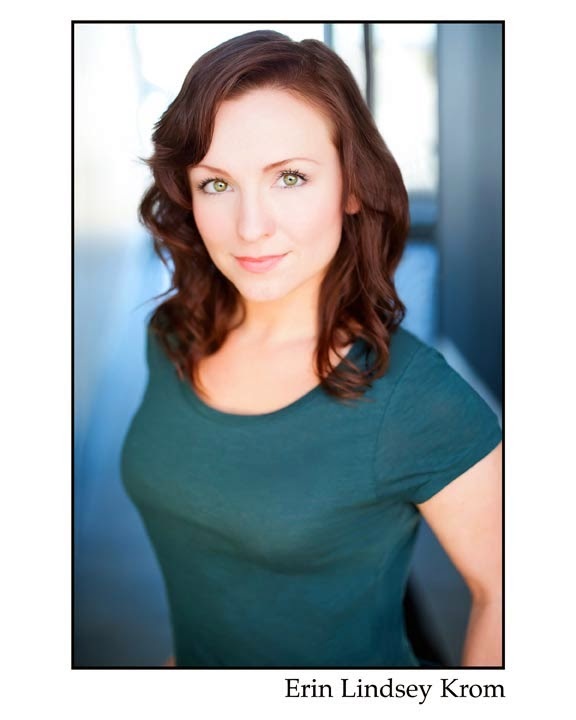 When Nessarose takes over her father's position as Governor of Munchkinland, she uses her unique talents to control her subjects, especially over Boq (Lee Slobotkin). Evil battles goodness as winged monkeys fly, spell books are experimented with, guards seek to capture, Munchkins lose rights, houses crash and the Wizard turns out to be not so wonderful after all. Before you know it, the Tinman, the Scarecrow and the Lion are all on the loose anxiously waiting for Dorothy to arrive. Songs like "Popular," "For Good" and "Defying Gravity" soar to great heights in this magical musical with glorious direction by Joe Mantello, incredible costuming by Susan Hilferty, brilliant lighting by Kenneth Posner and inspiring musical direction by William David Brohn, Stephen Oremus and Wayne Cilento. For tickets to “Wicked” ($47.50-172.50), call the Bushnell, 166 Capitol Avenue, Hartford at 860-987-5900 or online at www.bushnell.org. Performances are Tuesday at 7:30 p.m., Wednesday at 7:30 p.m., Thursday at 7:30 p.m., Friday at 8 p.m., Saturday at 2 p.m. and 8 p.m. and Sunday at 1 p.m. and 6:30 p.m.
SQUARE ONE THEATRE INVITES YOU TO TAKE "A WALK IN THE WOODS"
Striving for agreement is a delicate balancing act that includes a statement of facts, at least two sides of opinion, a give and take of ideas and, possibly, compromise. If the stakes are high, if there is a lot at issue, both sides may be unwilling to give an inch in the negotiations. Imagine, if you will, it is the Cold War and a Russian diplomat is facing his American counterpart. Instead of a round table for discussion, the pair are meeting in the woods. Playwright Lee Blessing has set his play "A Walk in the Woods" in Switzerland. Square One Theatre Company is opening delicate and deliberate discussions weekends until Saturday, November 22 in celebration of its 25th anniversary. 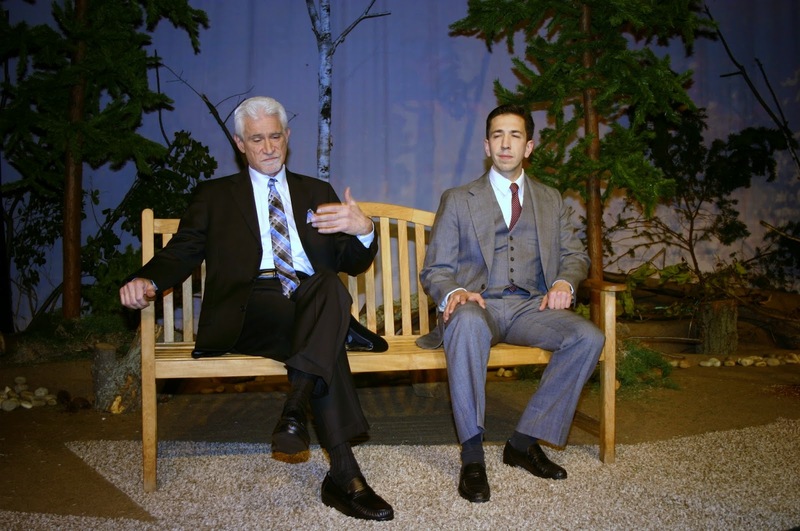 "A Walk in the Woods" was the first play that this Stratford based theater company produced in 1990. At that time, Pat Leo played the eager young and slightly naive American diplomat with William Barry as the quick on his feet Russian statesman. Now a quarter of a century later, Pat Leo has changed sides. He is now Andrey Botvinnik, a man skilled in prevarication and postponement, one who is treating the talks as a grand game, with moves and manipulations that almost guarantee a lack of progress, a stalemate, a tie score with no winner in evidence. He prefers to talk in trivialities and discuss frivolous topics, rather than deal with the realities at hand. He has been entertaining ideas for treaties for decades and acknowledges the ultimate futility of the mission. Andrey now has a new opponent, competitor, playmate in the high stakes contest: the American John Honeyman, brought to ambitious life by Damian Long. As the newcomer to the proceedings, John is hopeful that he can make inroads and progress, and succeed in reaching a proposal that will work for both sides. As the two sit on a bench in the woods, surrounded by pines and birch, they question the basic concept of trust. They are looking for peace, but purposely never finding it. Is either side willing to reduce its warheads and cruise missiles, to slow down the development of newer and more deadly weapons? Director Tom Holehan handles the issue of bargaining chips and checks and balances in such a way that one feels a deep identity with these two men who potentially hold the fate of the world in their hands. Both actors do a superb job of creating the tension surrounding the creation of a real reduction in weapons treaty. For tickets ($20, seniors $19, subscriptions for the season $50), call Square One Theatre Company, 2422 Main Street, Stratford at 203-375-8778 or online at www.squareonetheatre.com. Performances are Friday at 8 p.m., Saturday at 8 p.m. and Sunday at 2 p.m. with a twilight matinee at 4 p.m. the last weekend. Pause in the woods of Geneva in 1982 and investigate the reasons, resistance and realities that are capable of changing the fate of nations, if not of the world. HITCH A RIDE WITH "THE BEVERLY HILLBILLIES"
If you owned a swamp where pools of thick black liquid were bubbling to the surface, you might head for the hills...the Beverly Hills that is! Especially if you're a member of the Clampett family and that viscous dark substance was pure oil. You might find yourself a millionaire many times over, a far cry from the simple backwoods life you were used to living, hunting for your food like squirrels and possums, a life complete with outhouses, no running water and no such thing as electricity. 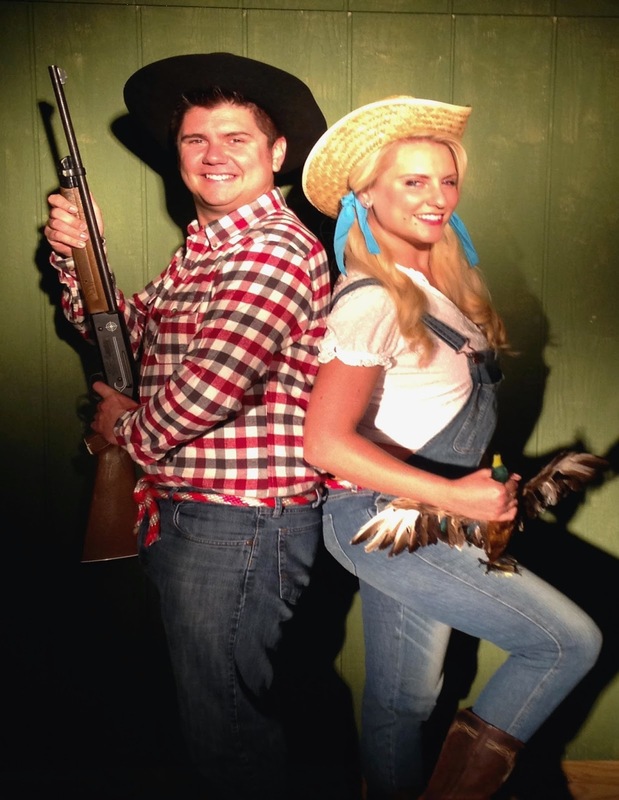 Grab a coonskin cap and a rifle and head on over to the Connecticut Cabaret Theatre in Berlin and say "Howdy" to "The Beverly Hillbillies." 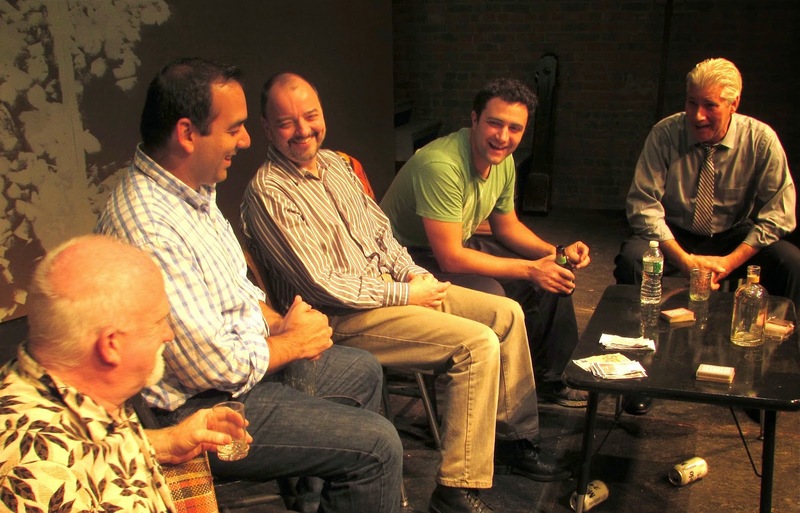 The comedy that runs weekends until Saturday, November 22 is based on the television sitcoms' first two episodes, written by Connecticut native David Rogers. The mighty successful show ran for nine seasons on CBS, from 1963 to 1971 and starred Buddy Ebsen, Irene Ryan, Donna Douglas and Max Baer, Jr. and was created for TV by Paul Henning. It was among the top ranked shows for eight of its nine seasons and now you can visit and sit a spell with these old time favorites. Life changes in about 25 million ways when Jed Clampett (Dave Wall) puts his X on the line to sell his black gold rich swamp to the Midland Oil Company. Suddenly the family is on the move out west, settling in a mansion next door to their new banker Milburn Drysdale (Russell Fish) and his less-than-welcoming wife Margaret (Abby Brooks). Before you can say "hee haw" three times, a host of interested parties pop up with their hands outstretched, like Mrs. Pennyweather (Catherine Rowe) and her son Percy (James J. Moran) and cohort Gloria (Grace Rizzuto) who want books for a new library and Colonel Foxhall (Chris Brooks) and Emaline Fetty (Carleigh Schultz) who have a swift swindle in mind. The Clampett family, including daughter Elly Mae (Meagan Bomar) and cousin Jethro (Rick Bennett) and Granny Moses (Kristin Ceneviva), soon have their hands full telling friend from foe. Assisting them are a dedicated secretary from the bank (Barbara Horan), a detective (Will Dayton), a neighbor (Alicia Rizzuto) and an admirer (Tracey Brown). All these adventures are carefully crafted to produce maximum laughter by director Kris McMurray. For tickets ($30), call the Connecticut Cabaret Theatre, 31-33 Webster Square Road, Berlin at 860-829-1248 or online at www.ctcabaret.com. Remember to bring snacks and goodies to share or plan to purchase cake and drinks on site. Performances are Friday and Saturday at 8 p.m., with doors opening at 7:15 p.m.
Crank up the old jalopy and mosey on over to the Clampett homestead and enjoy the bluegrass banjo theme song "The Ballad of Jed Clampett" that started every show. Plan to sing and twang along for the nostalgic ride. CHECK IN TO "IRVING BERLIN'S HOLIDAY INN"
Raise a glass of bubbly and give a sassy salute to composer Irving Berlin who graced our world with an ice bucket of hundreds of great and memorable tunes. It's time to celebrate the holidays and travel around the calendar with some of Berlin's most memorable hits. Goodspeed Musicals is the gracious host of this world premiere musical production that pays tribute to one of America's favorite songbook heroes. Extended to Sunday, December 28, you're invited to do a happy holiday dance as "Irving Berlin's Holiday Inn," with book by Gordon Greenberg and Chad Hodge, welcomes you to the feast and festivities at Goodspeed Musicals in East Haddam, that lovely tiered wedding cake of a theater on the Connecticut River. Join in lively step with a trio of performers, Jim Hardy (Tally Sessions), Ted Hanover (Noah Racey) and Lila Dixon (Hayley Podschun), as they try to make the big time and hit the marquee's top billing. As hoofers and songsters, they know how to make the music beat in great syncopation. What happens, however, when this triangle splits at the seams, with Jimmy asking Lila to marry him and Ted wanting Lila to stay with him and make Hollywood and stardom their goal. The homebody Jim wants to leave the bright lights and settle down in a Connecticut farmhouse, but he finds himself alone with the chickens and the rabbits. He hires a woman who has fix-it skills, Louise (Susan Mosher) who takes it upon herself to repair everything wrong in Jim's life, from his noisy radiator named Bruce to his faltering love life. When the former owner of the farmhouse property arrives, a dazzlingly sweet Linda Mason (Patti Murin), the joint really gets jumping. Soon the reality of paying trivial matters like mortgages forces Jim, with a little help from his show biz friends, to be financially creative. By opening the farm as a "holiday inn," to celebrate the special days of the year in music, dance and song, brings a lively solution to a hard nut of a problem and brings Lila and Ted and their agent Danny (Danny Rutigliano) right back to the open barn door. Periodic messages, of good and bad news, arrive thanks to the bright eyed delivery boy Noah Marlowe. 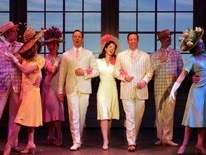 Lovely and lyrical Berlin tunes like "Steppin' Out With My Baby," "Heat Wave," "What'll I Do," "Shaking the Blues Away," "White Christmas," "Let's Take an Old-fashioned Walk" and "Easter Parade" make the show memorable. Gordon Greenberg keeps the pace high stepping, with lively choreography by Denis Jones, and the action fun on a set designed by Anna Louizos and delightfully costumed by Alejo Vietti. For tickets ($27 and up), call Goodspeed Musicals, on the Connecticut River, at 860-873-8668 or online at www.goodspeed.org. Performances are Wednesday at 2 p.m. and 7:30 p.m., Thursday at 7:30 p.m., (with select performances at 2 p.m.), Friday at 8 p.m., Saturday at 3 p.m. and 8 p.m. and Sunday at 2 p.m. (with select performances at 6:30 p.m.
Make a reservation for hours of joyous entertainment as a welcomed guest of "Irving Berlin's Holiday Inn" where celebrating the special days of the year are on the agenda as soon as you check-in.